Today, Genie9 has just released the successor of Genie Timeline 2.1; Genie Timeline 2012. You can check out all the new features from here. 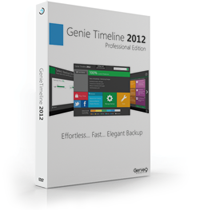 Users with Genie Timeline 2.1 will only need to install Genie Timeline 2012 and it will automatically upgrade the build and the backup will resume without any intervention. No reconfiguration or uninstalling required. Next Are you a pinner or a redditor? Previous Android users beware…your phone might carry tracking software!